The Queensland Government has made 2 Solar Battery rebates grants and loans available from Nov 19, 2018. The solar battery rebate programs have been announced by Energy Minister Dr Anthony Lynham who wants to help up to 1,500 homes and businesses take advantage of their solar systems after sunset. “From tomorrow (Monday 19 November) Queensland householders can jump online and apply for interest-free loans of up to $10,000 and grants of $3,000 to purchase batteries or combined solar-battery systems” says Dr Lynham. 1. 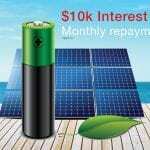 Solar Battery Rebate & Interest free loan. The first offer by the Queensland Government is targeted at households and businesses who already own a solar system. A $3,000 battery grant (rebate) is on offer for all current solar owners who would like to install a battery system. Small businesses, body corporates and trusts will only be able to apply for a grant (not the loan). In addition to the grant, an interest free loan of up to $6,000 is on offer directly from the QLD Government. Unlike the first QLD Government solar loan, this loan has no income limit requirements and is therefore open to all Queenslanders with an existing solar system. You won’t be eligible to apply for a battery loan and grant if you are receiving the 44 cent feed-in-tariff under the Solar Bonus Scheme. There has been a limit of 500 solar battery rebate packages available, which means it will be a first in – first served opportunity. To apply for the grant and loan, the QLD Government has made it a requirement to provide a quote from an approved solar retailer like GI Energy. The purpose of limiting the suppliers of these grants is to follow a strict consumer protection process along with clear product and installation safety standards. By obtaining a quote from GI Energy, we will assess the solar production from your existing system and determine the size of battery that will be suitable for your home. Some businesses and homeowners may not have enough solar production to charge a battery at night, and clear guidance will be required to determine the best outcome for each situation. 2. 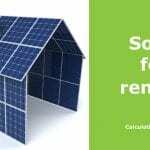 Combined Solar System and Solar Battery Rebate & Interest free loan. The second offer by the Queensland Government is targeted at households and businesses who already own a solar system. A $3,000 battery grant (rebate) is on offer for any homeowner or business who would like to install a combined solar and battery system. An interest free loan of up to $10,000 is on offer directly from the QLD Government. There are no personal income restrictions on this loan. There has been a limit of 1,000 solar battery rebate packages available, which means it will be a first in – first served opportunity. You won’t be eligible to apply for a combined solar and battery grant or loan if you have an existing solar system installed at the desired premises or are financing your proposed solar system through a solar power purchase agreement or solar lease. 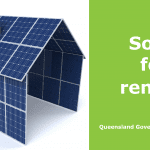 To apply for the grant and loan, the QLD Government has made it a requirement to provide a quote from an approved solar retailer like GI Energy. The purpose of limiting the suppliers of these grants is to follow a strict consumer protection process along with clear product and installation saftey standards. By requesting a quote from GI Energy, we will assess the your individual energy usage, goals and available roof space. Professional guidance on system design, products, savings and cashflow estimates will be provided to ensure everyone has a clear understanding of the impacts and benefits of a combined solar and battery solution. The Queensland Government has a clear goal of helping Queenslanders reduce their power bills, reduce the states emissions in efforts to transition to a renewable future. To this end, the loans have been designed to be accessible for everyone. The Queensland Government has been enthusiastic in encouraging all applications for interested parties. Repayment options can be discussed with the QLD Government once a quote is secured. Terms of up to 10 years are available, with no penalties for early payouts. Loans are genuine interest free and free of monthly account keeping or establishment fees. The Queensland Government will not be able to process loan applications without a quotation from an approved solar retailer. By contacting GI Energy, you will be guided through the process to make the application as easy as possible. Our quoting tool provides the most detailed savings projections in the industry which means you’ll have a clear understanding on what your savings potentials are. The battery products available to you have been assessed and passed the QLD Governments product saftey review during a strict tender process. Solar inverters and panels can vary, however GI Energy supplies Australia’s most reliable and tested products. GI Energy highly commends the Queensland Government for their attention to detail around battery safety and consumer protection. The Queensland Government has been a leader and partner in the progress of the solar industry and a sustainable renewable future for all Queenslanders. GI Energy is proud to be partnering in this program amidst so many believers of a better future. Please feel free to contact us directly on 1300 876 269 or send a message to our sales manager Matthew Williams – matt@gienergy.com.au. Alternatively, you can leave your details in the form below and we will be in contact as soon as we can.